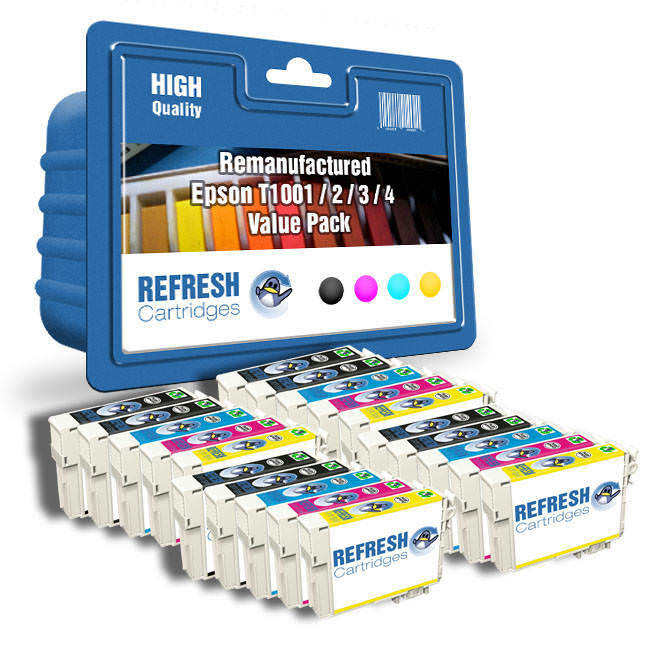 The Epson T1001, T1002, T1003, T1004 remanufactured printer cartridge value pack is designed to fit a range of Epson Office printers, often as a high capacity alternative to the Epson T0711-T0714 range of cartridges. It is often referred to as a T1006 + T1001 pack. 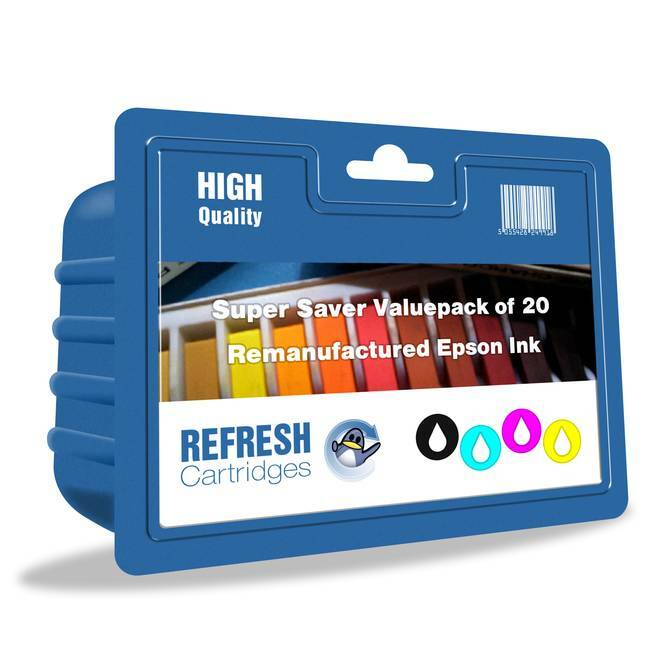 Please note that not all printers that take the T071x can take the T100x series so please check compatibility with your particular printer below. 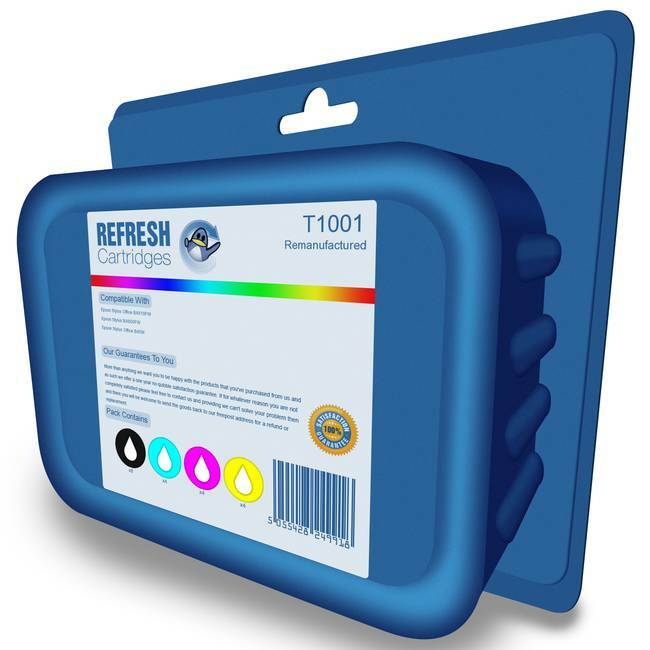 As with all cartridges that we stock, these T1001 - T1004 cartridges come with a 100% satisfaction guarantee and include both VAT and postage.